My "Lady of the Lake" jacket is coming along nicely. I have the back finished and I am just starting the first half of the front. Very easy and enjoyable knitting. 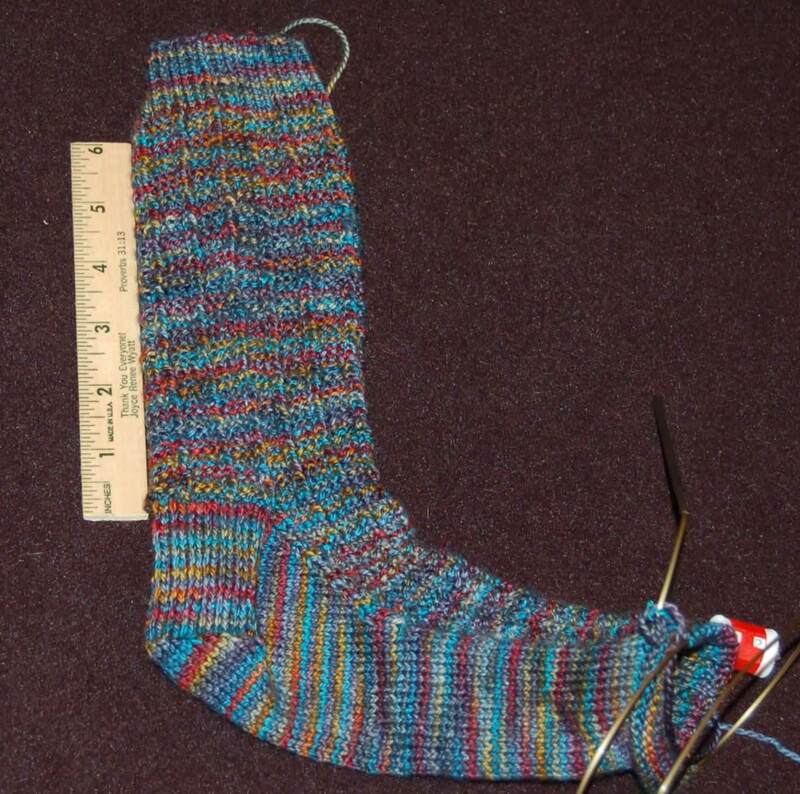 The "Autumn Sail" socks are also coming along. As you can see I am just to the toe of the first sock, but this is perfect road-trip knitting (remember the 10 hour car trip this Saturday?). 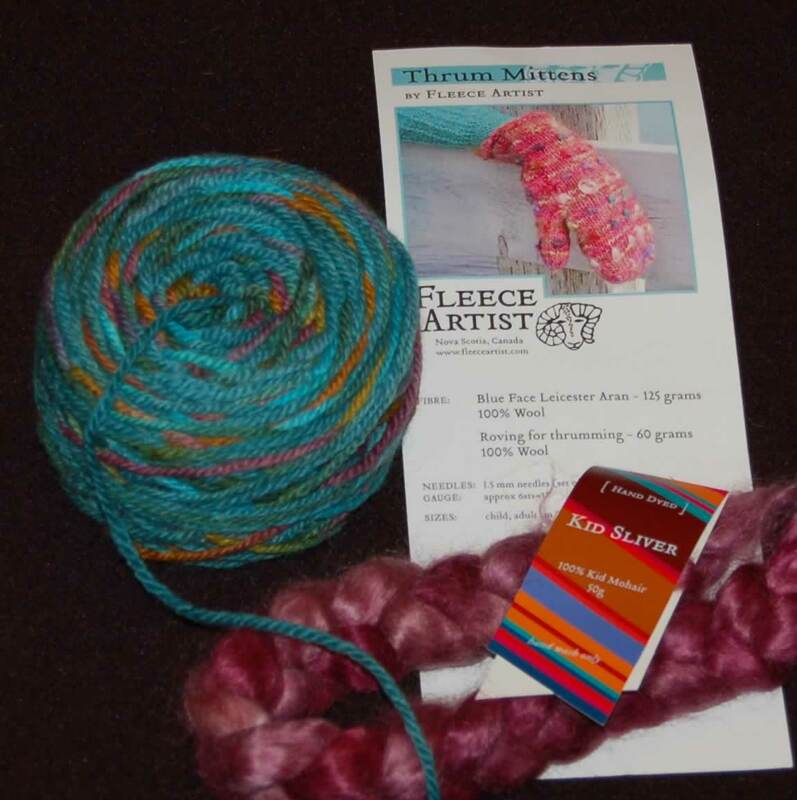 I need to do my swatch before Saturday, but at least I got my yarn ready. Socks and mittens, good for traveling!